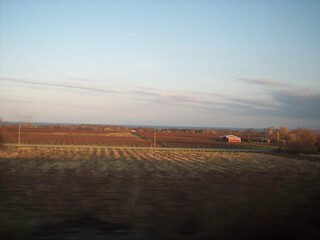 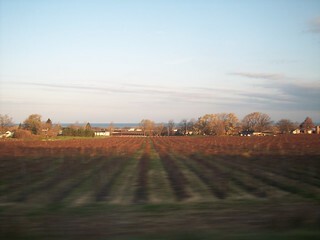 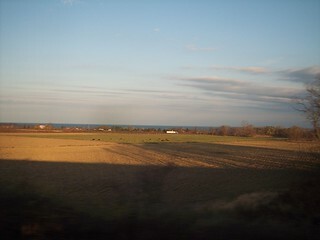 We ride through miles of vineyards with views of Lake Erie in the distance. 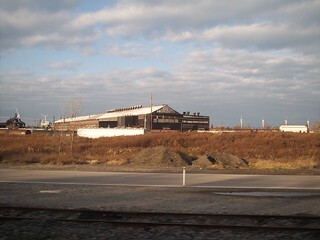 As we near Buffalo we see large old factories. 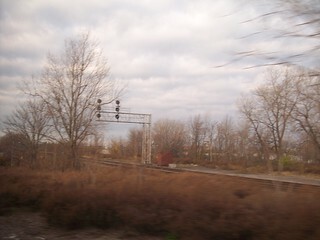 Just before reaching the old Buffalo Central Terminal we see the tracks used by Empire Service and Maple Leaf trains as they make their way to Niagara Falls.